I was 11. 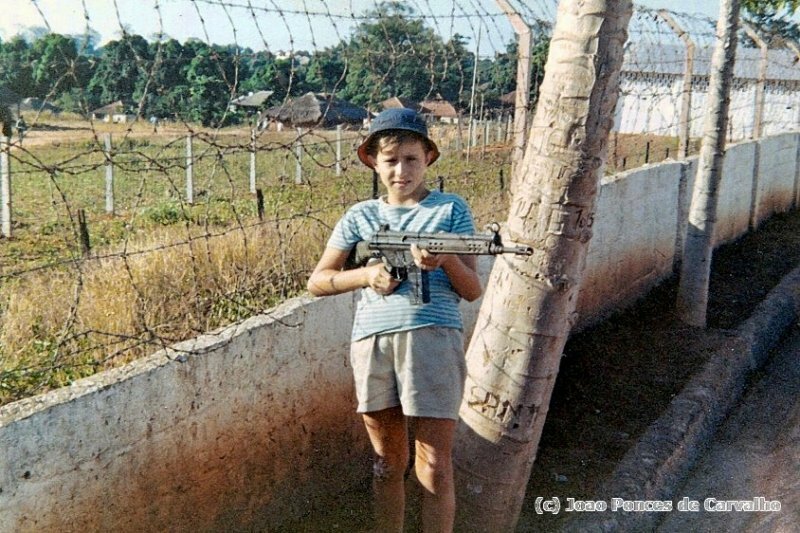 Some afternoons, after school I was free to go around, inside the heavily guarded military compound. I managed to ask a Soldier to teach me how the gun worked, and take this photo with my camera.